First comes love… then comes the marriage… then comes (you guessed it) the baby in the baby carriage… and his name is Emmett! Okay so maybe we didn’t get any shots of adorable little Emmett in a carriage during our newborn portrait session, but you get the idea. I first met Sarah and Ryan when I got the opportunity to photograph their wedding back in 2009. This past June, we reconnected when we shot Sarah’s maternity photos. The couple was ecstatic with the anticipation of the birth of their first child. 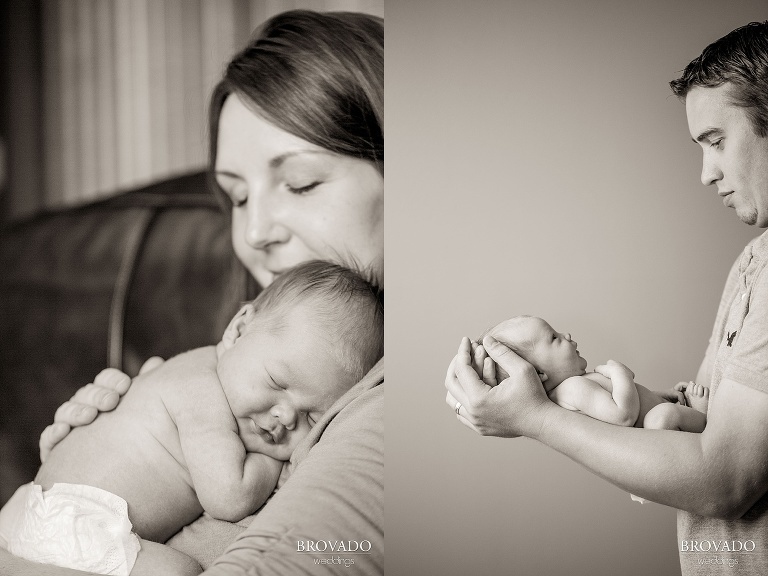 When I came to their home in St. Michael, MN to photograph their new baby boy, I could feel nothing but unconditional love and contentment in the air. So what happens after the baby in the baby carriage? From the looks of it, I predict lots and lots of happy times for this wonderful growing family. Congratulations to Sarah and Ryan, and a big warm welcome to baby Emmett!